From the heart of Czech Bohemia, the capital of Central Europe's glass-makers, comes this beautiful tub vase. 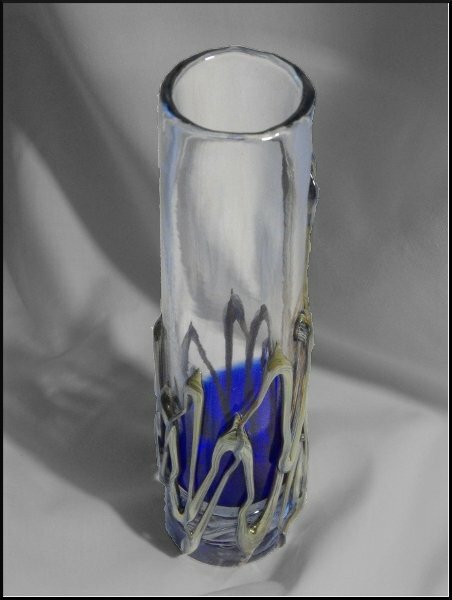 It represents a distinctive example of hot-shaped blown glass. Its blue bottom creates the illusion of liquid gathered in the vase, while the silver pattern gives this piece distinctiveness and elegance.